As you may remember, I created a little beer graph some time ago to experiment and have fun with beer, and graphs. And yes, I have been having LOTS of fun with it – using it to explain graph concepts to lots of not-so-technical folks, like myself. Many people liked it, and even more people had some questions about it – started thinking in graphs, basically. Which is way more than what I ever hoped for – so that’s great! One of the questions that people always asked me was about the model. Why did I model things the way I did? Are there no other ways to model this domain? What would be the *best* way to model it? All of these questions have somewhat vague answers, because as a rule, there is no *one way* to model a graph. The data does not determine the model – it’s the QUERY that will drive the modelling decisions. One of the things that spurred the discussion was – probably not coincidentally – the AlcoholPercentage. Many people were expecting that to be a *property* of the Beerbrand – but instead in my beergraph, I had “pulled it out”. The main reason at the time was more coincidence than anything else, but when you think of it – it’s actually a fantastic thing to “pull things out” and normalise the data model much further than you probably would in a relational model. 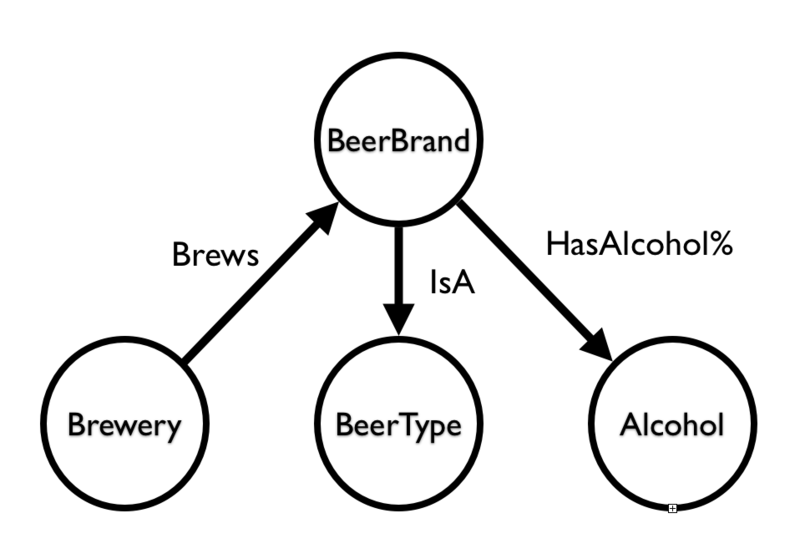 By making the alcoholpercentage a node of its own, it allowed me to do more interesting queries and pathfinding operations – which led to interesting beer recommendations. Which is what this is all about, right? So in my new version of my beergraph, I have done something different. 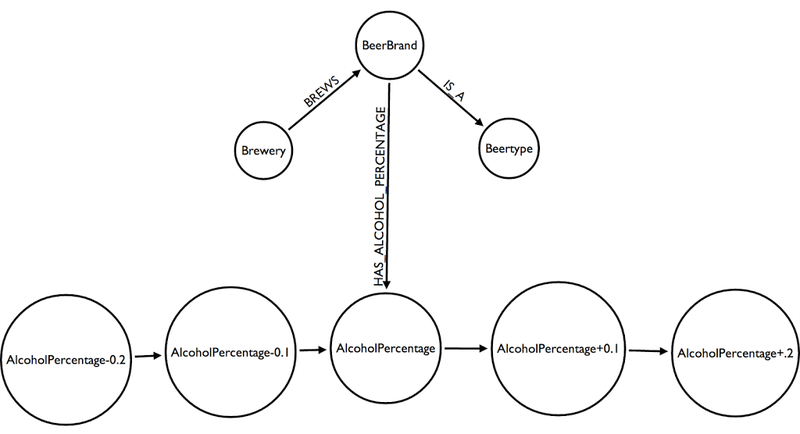 I used the example of Peter to create an in-graph index of AlcoholPercentages – a bit like the picture of the new model that you see here. 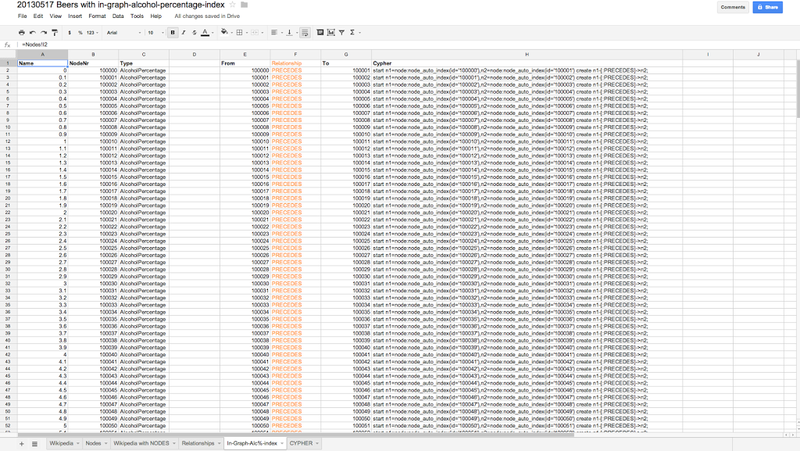 To do this, I of course did have to modify my beer-spreadsheet a little bit. You can find the new version over here. But from the screenshot below you can see that all I did was create another tab that had all the alcoholpercentages and that “PRECEDES” relationship between them. Easy peasy. Nice. So what? The resulting dataset is very similar to what we had before – it’s just a little bit richer. 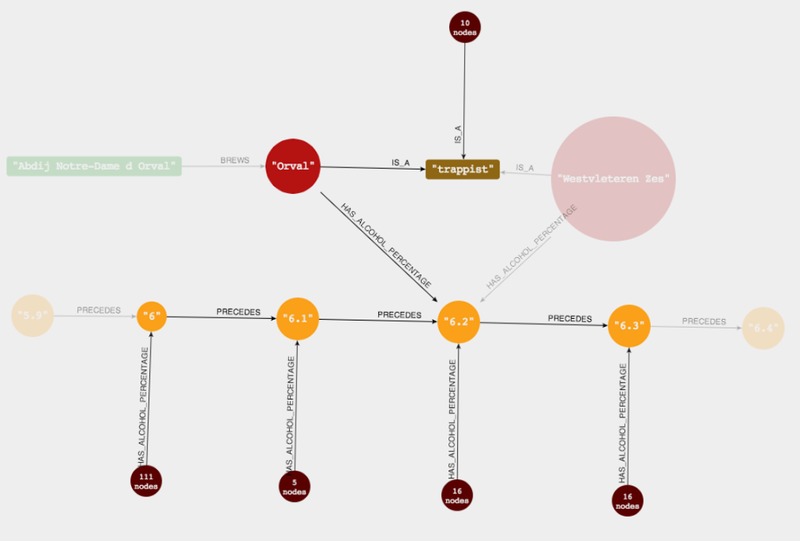 You immediately notice it as you start “walking” the graph on the WebUI: the links to the AlcoholPercentage-chain gives me a new and interesting way to explore the graph. Hope this was useful. 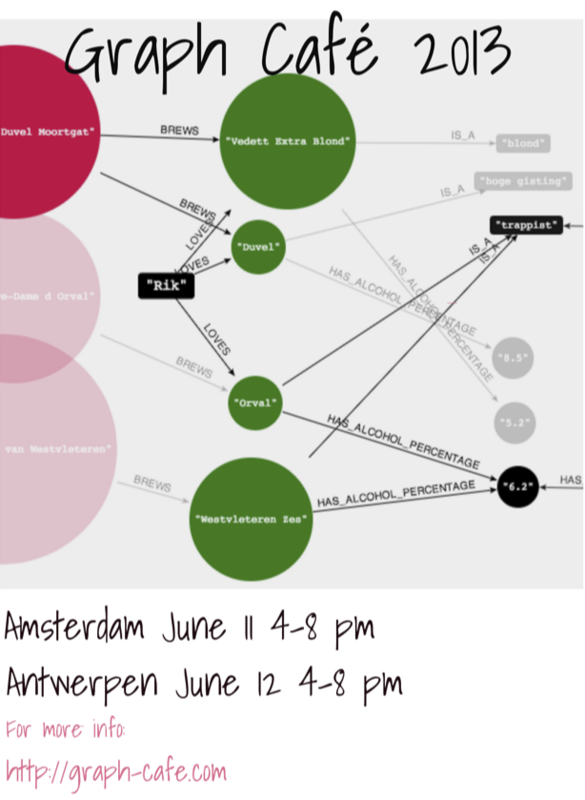 If you like this post and want to discuss more about graphs and beer, please come to our Graph Café in June in Antwerp or Amsterdam – or at a pub near you?